Harry Styles sang in a British boy band named One Direction. I never listened. Never watched. Deplorable that boy band stuff. Just horrible-horrible synth-rabble that goes against every fiber of my ‘I need real music’ sensibilities. Not my thing. The WRONG direction. Then I come across this release from his new solo album. Just a few seconds into Sign of the Times and I’m hooked. The young man can sing. I watch the video, various live performances and realize he’s doing the much-appreciated less is more version of performing – letting the live band share the stage as well. 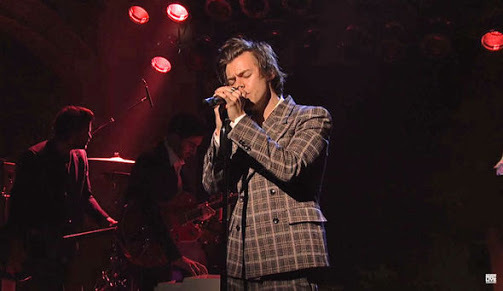 It’s a good band and as much as it surprises me to say it – Harry Styles is one hell of a singer. There. I admitted. I like Harry Styles. Yeah, the guy who sang in One Direction. D.W. Ulsterman is a bestselling, award-winning author and socio-political commentator – and a Harry Styles fan.